Miraculously, “La Sebastiana” fit the vast majority of his requirements. 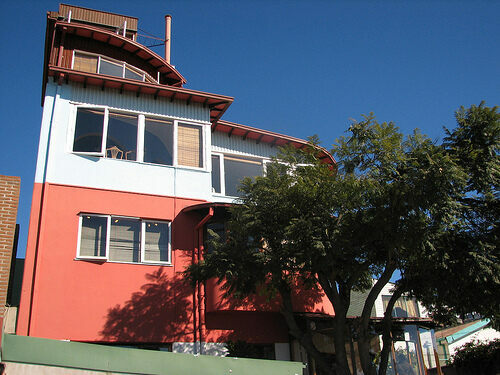 Originally constructed by Spaniard Sebastián Collao, the structure brimmed with character. The third floor had been a birdhouse, the terrace had been created to serve as a heliport, and the house was capped by a tower. 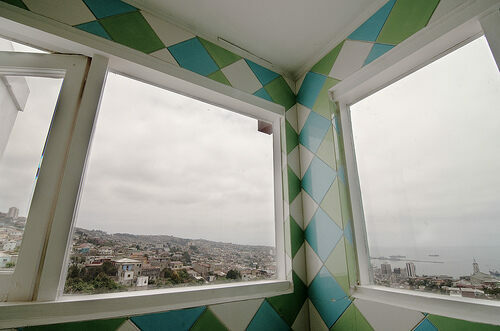 Windows with pristine views of the ocean and city resembled ships’ clerestories. The one drawback: Neruda felt it was too large. After three years of finishing and quirkily furnishing the house, Neruda and his third wife, Matilde Urrutia, moved in with joint-owners and close friends Doctor Francisco Velasco and his wife. It was agreed that Neruda and Urrutia would occupy the top two floors and tower while Velasco and Martner would reside in the lower portion of the house. 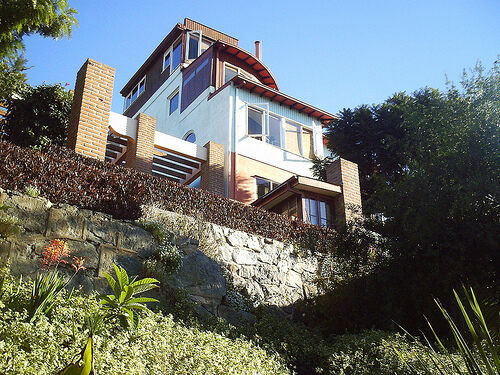 Neruda later joked that he had gotten the worse half of the bargain, “I bought nothing but stairs and terraces,” knowing full-well that these features afforded him a nearly 360-degree vista of the bay. And so it remained until Neruda’s death. However, immediately following the military coup in 1973, La Sebastiana was ransacked in retaliation for Neruda’s outspoken support of the previous regime. Thanks to private and public funding the house was returned to its original condition and an interpretive center was created in the garden area, both of which opened to the public in 1991. Buying your medicine at this particular pharmacy is like taking a trip back in time. This iconic hilltop church doubled as a lighthouse in the 19th century, guiding ships into the port of Valparaíso.